Clients subscribed to the Doteasy Unlimited Hosting and Doteasy Business Hosting plans are allowed to host multiple domain names on one hosting account. If you have not yet registered the additional domain name(s), you will need to do so using the domain signup form on the Doteasy website. When prompt to select a hosting plan, simply choose the No Hosting option. Once the addon domain has been registered, you will need to change its DNS so that it’s pointing to your hosting account. Login to your hosting account’s Member Zone and click on View DNS Info under Domain Settings. Locate the DNS settings information you will need for your add-on domain. Copy the addon domain primary and secondary DNS server information. Log into your addon domain’s Member Zone and click Change Nameservers under Domain Settings. Paste the addon primary and secondary DNS information that yo had copied into their respective fields. When ready, click Apply Changes to confirm the DNS changes for the addon domain. DNS changes may take several hours to completely take effect. 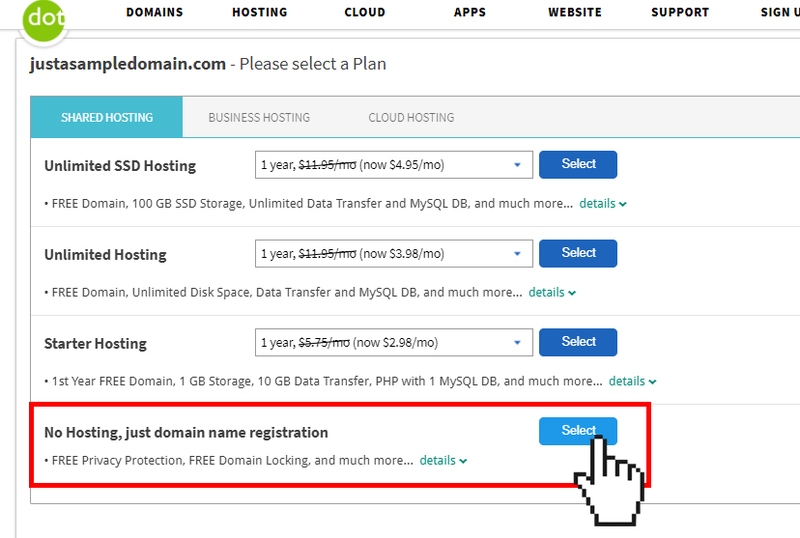 Once you have updated the DNS for your addon domain, you can add it to your existing hosting account using the Addon Domains tool in cPanel.